Chrome Gotoh® BS-TC2 dual loading Telecaster® bridge with 3 brass 'In-Tune' compensated saddles. Strings can be loaded through-body or top mount. 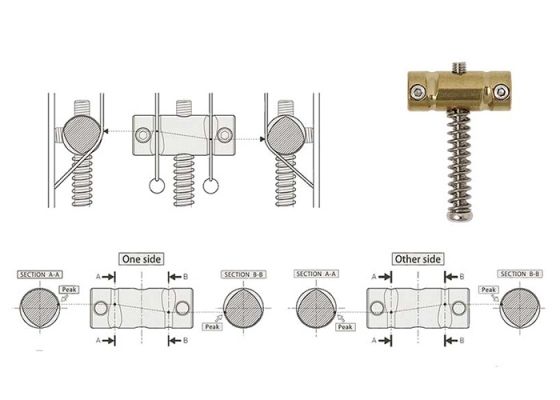 Gotoh's unique grooving on the “In-Tune” saddles results in more exact intonation compared to traditional vintage-style saddles. Each saddle is reversible and can be used in any position.